Reel ’em in with a burst of color. Sunny days call for eye-catching colors and patterns. 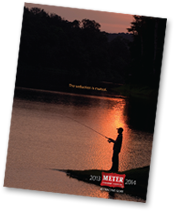 Make sure your anglers have the entire spectrum of choices for the perfect day of fishing.